Morcott’s war memorial has been restored and redicated. A short service was held at the memorial on Remembrance Sunday 2014 at which a wreath was laid by the nephew of one of the men named on the base of the cross. The memorial, which stands in the old churchyard, had become negelected with the names of the dead difficut to read. But now Rutland County Council, which has responsibility for the cemetery, has paid for it to be restored to pristine condition. 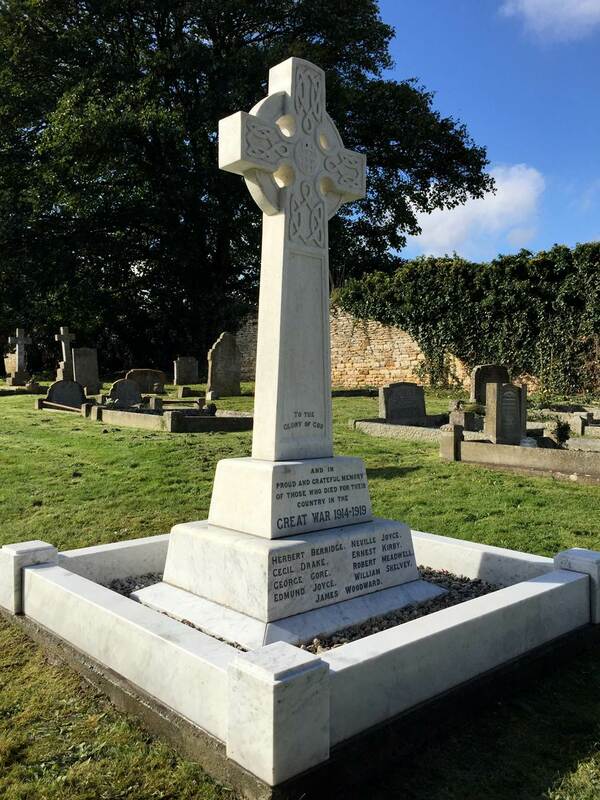 Chairman of the parish council Neil Harding said: “It now looks particularly fine.” And he said the parish council had paid for the name of a second world war soldier from Morcott to be added to the memorial.